Southwell Minster is said to be one of Britain’s best-kept secrets: a magnificent early English cathedral in a tiny market town of only 7,000 inhabitants, close to both Nottingham and Newark. 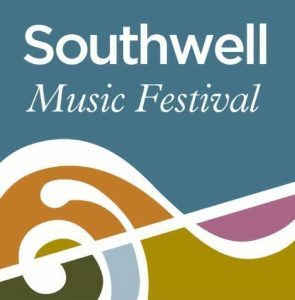 That may change, however, following the foundation of the Southwell Music Festival last year. It is the brainchild of one of the minster’s former choristers, the “barimaestro” — not my invention, alas — Marcus Farnsworth, better known in London as a singer than a conductor. He studied both at Manchester University, where he assembled the huge forces required for a student performance of Britten’s mighty War Requiem. 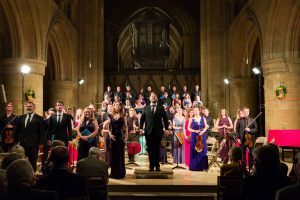 Last year, he persuaded his distinguished near-contemporaries Sophie Bevan, Andrew Staples and Ashley Riches to sing the solo parts in a vivid, life-enhancing performance of Haydn’s The Creation. 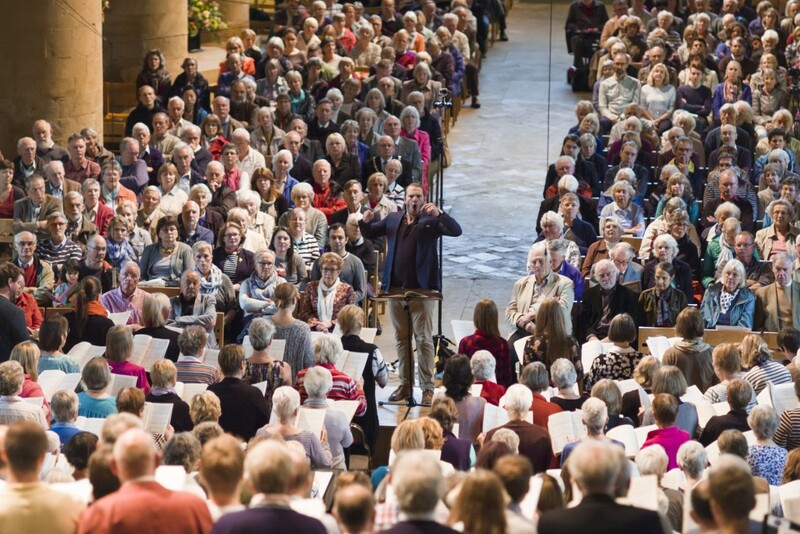 This year, he persuaded a no-less-distinguished quartet to star in Mendelssohn’s Elijah, with a chorus of young professionals and an orchestra “fixed”, as they say in the music business, by his associate artistic director, Jamie Campbell. Many of these young musicians stay in Southwell for the five days of the bank-holiday festival, participating in recitals and workshops for local musicians. Last year, I attended the festival en route to Edinburgh, and the sense of a community event of an astoundingly high standard was palpable. The Creation and this year’s Elijah were both sold out (700 seats with good sightlines to the concert platform). Clearly there is a hunger for large-scale concerts of this quality in the minster itself, but the cathedral’s outbuildings are very much part of the attraction. Although the historic Archbishop’s Palace — a stopping-off point for my lords of York on their way to London — is now mostly a ruin, a remaining building houses the minster’s Song School, music library and, most significant, the gemlike Great Hall, once used as an office by Cardinal Wolsey on his way back to London after his fall from favour, and as a prison for Charles I on his way to execution. The hall seats only 100 or so, but the main recital event — this year a Schubertiade comprising Lieder and the “Trout” Quintet — was repeated. At the second performance, which I attended, orchestral musicians and friends watched on a monitor in the green room downstairs. It is significant, perhaps, that Farnsworth has created a sort of mini-Wigmore Hall on the minster’s doorstep. He won that hall’s international song competition in 2009 and the song prize at the 2011 Kathleen Ferrier awards, and he already makes regular appearances as a recitalist there. For the Schubertiade, he gathered a fine group of singers and players: the soprano Alison Rose and tenor Nick Pritchard launched the recital with a vivid account of Die Forelle (The Trout). Farnsworth himself sang a group of mostly familiar Schubert pieces, including Suleika II, Der Atlas and Der Zwerg, the latter two powerfully characterised by both him and his pianist, Libby Burgess, who lent a chilling frisson to the melodramatic tale of the dwarf who strangles his lover, the queen, in a creepy consensual pact, before drowning himself in the sea. Although none of the singers is a native German-speaker, their diction was always clear in this intimate setting. The performance of the Quintet, on the other hand, was edge-of-the-seat stuff, with James Baillieu — a featured artist in the coming Wigmore Hall season — throwing off the virtuoso piano writing with insouciant ease and shaping Schubert’s songlike melodies with the instinct of a natural singer’s accompanist. The four string players, inspirationally led by Campbell, matched him note for note in a performance that kept up the momentum and excitement until its final second. A thrillingly fresh account of a much-performed work, it sounded as if the five artists had been playing it all their professional lives, but this was an ensemble created for and at the festival. I’ve heard less gripping readings from much bigger names. Elijah, too, sounded fresh-minted, as if Farnsworth were determined to blow away 160-odd years of accumulated dust, Victorian piety and choral-society routine from what can often sound a faded masterpiece. With a smallish chorus — 22-strong — rattling the minster’s rafters and Campbell’s youthful orchestra, many of them playing this warhorse for the first time, Elijah sounded like the innovative dramatic oratorio it must have seemed to audiences at Birmingham’s Town Hall in 1846. Under Farnsworth’s direction, Mendelssohn’s orchestration and choral writing never sounded portentous or stodgy, and the quality of the choral singers was exemplified by the quartet of angel soloists producing truly angelic sounds. The principals — Sarah Tynan (who sang Hear ye, Israel with bell-like purity), the lush-toned Madeleine Shaw, the eloquent Pritchard and, most of all, Andrew Foster-Williams’s melodramatic Elijah — contributed to one of the most gripping live performances I have heard. 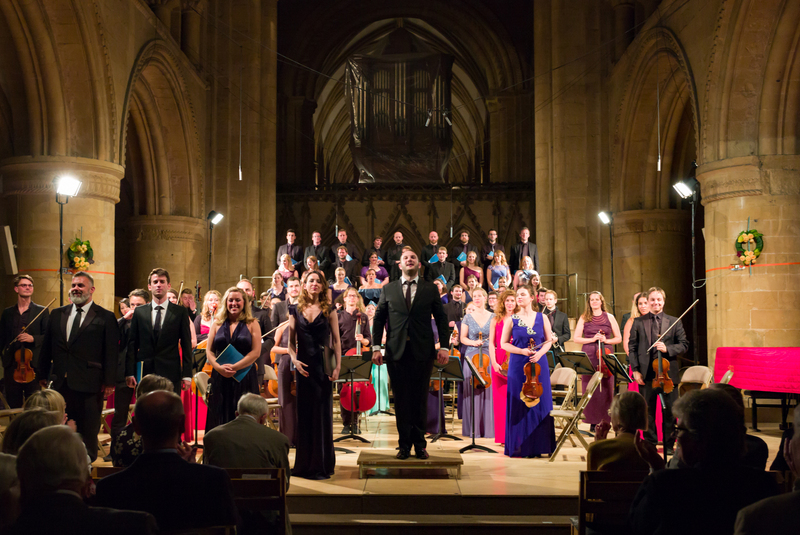 If last year’s Creation was a bold and brave opener, this was a clear indication that Southwell can already equal, even surpass, more established festivals. Perhaps the most memorable event I attended was a late-night performance of Haydn’s The Seven Last Words of Our Saviour on the Cross, given by Campbell and Maria Wloszczowska (violins), Simon Tandree (viola) and Nathaniel Boyd (cello) in the crossing of the dimly lit minster. Haydn’s seven slow movements (and final earthquake) were interspersed with brief readings from the relevant scripture. The quartet captured the anguish of Christ’s suffering with an intensity to match the violent harmonic shifts of Haydn’s music — surely the most avant-garde quartet-writing of the 18th century and still modern-sounding today. The audience, ranged in cruciform seating around the players, responded with a contemplative concentration that was as stirring as the performance itself. A long silence, before prolonged applause.